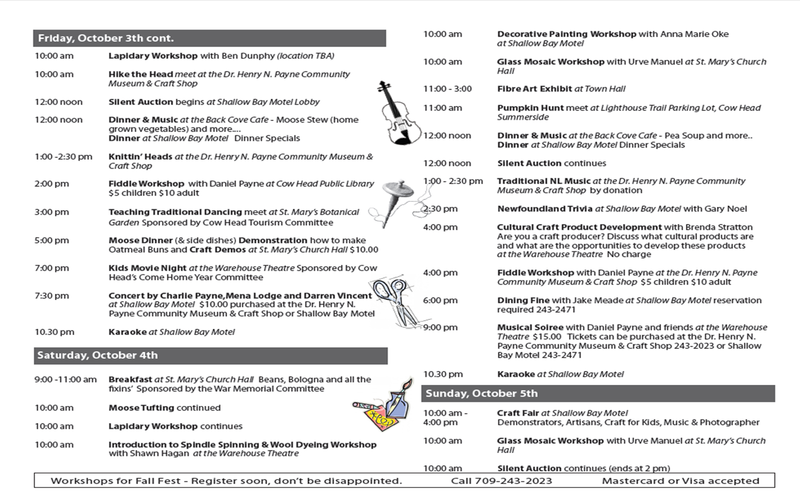 The Cow Head Heritage Committee is hosting its second annual Fall Fair which proved to be an exceptional success last year to extend the tourism season, which is great for small business owners and families throughout the region. Last year, I enjoyed the official opening which included the talents of Daniel and Stephanie Payne. I also enjoyed watching the basket weaving workshop performed by Main Brook resident Helga Gillard and moose tufting workshop. 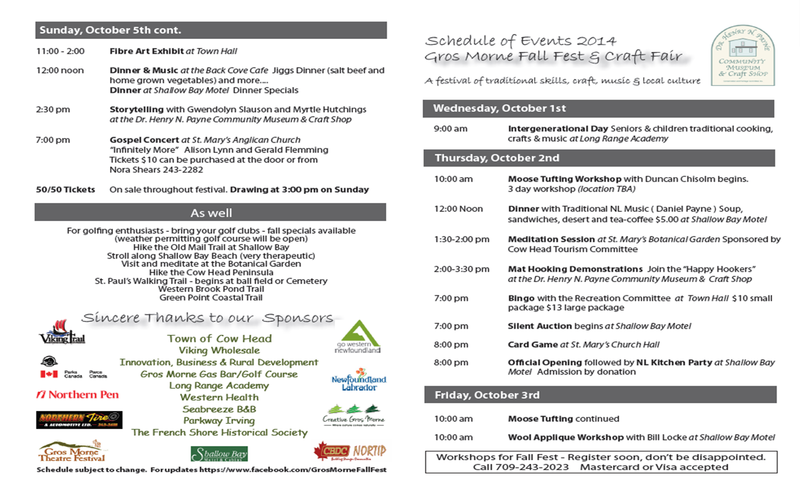 There are many talents and community economic development initiatives happening on the Great Northern Peninsula. I commend the sponsors, volunteers, organizers and those who participate in making this annual event a growing success! I am a youth living in rural Newfoundland & Labrador that will share stories of culture, tradition, heritage, business, travel, geography and other posts relating to any rural. I completed a Bachelor of Commerce Hons. (Coop) degree from Memorial University of Newfoundland & Labrador. I currently live and work on the Great Northern Peninsula, where I was born and raised. However, I have lived and worked internationally and travelled to more than 30 countries around the globe. On October 11, 2011 I was elected the youngest Member to Represent the people of the Straits -White Bay North in the Provincial Legislature of Newfoundland & Labrador. 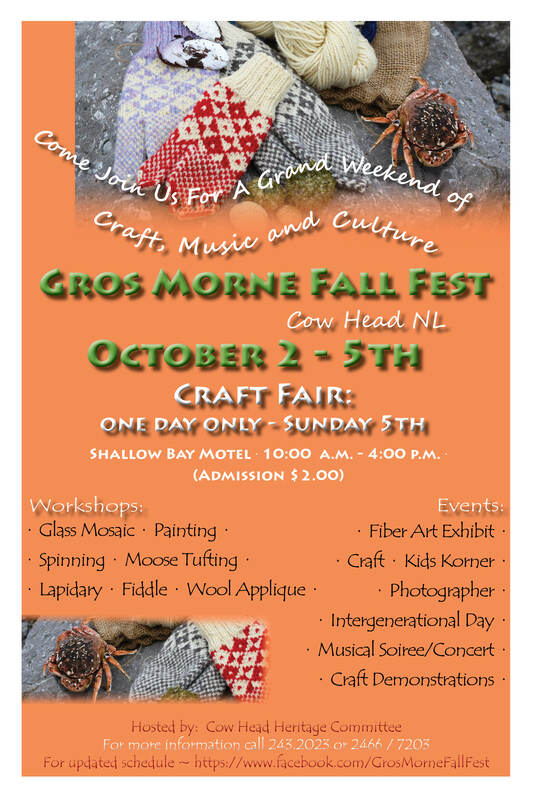 Posted on September 24, 2014, in Art, Business, Community Economic Development and tagged business, communit economic development, Cow Head, Crafts, fall fair, festival, Newfoundland, northern peninsula, tourism. Bookmark the permalink. Leave a comment.